The WSF Board of Directors continues to work to secure the company’s professional and financial future. Renee provides general production oversight as well as developing marketing opportunities and managing the company’s social media efforts.Renee has worked with the Woodward Shakespeare Festival off and on since the first season. She has acted in numerous productions (Much Ado About Nothing, The Taming of the Shrew, Macbeth, Richard III, The Complete Works of William Shakespeare (Abridged)) as well as helped with set and costume design. 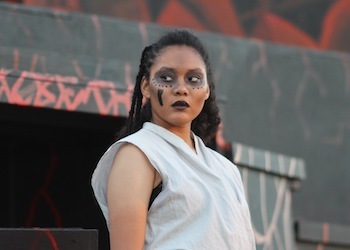 She has performed with numerous other local companies and was a producer of the Rogue Festival. Celeste works as the company’s principal costumer and costume consultant. Ballard holds a B.A. in Theater Arts and has worked as an actor for 20 years. After an 8 year adventure as a Costume Designer for theater companies in Portland, OR, Ballard returned home to Fresno. She has worked with the festival in previous years, as well as with the Good Company Players and the Selma Theater Arts Center. It is her hope to continue to grow the talent in and around Fresno, CA while offering professional level, free theater to the community. Julia developed and leads WSF’s primary outreach effort, The YES! Project. She also advises on artistic and production matters. Julia is currently on the faculty at Fresno Pacific University, where she chairs the Theater department, teaches and directs. 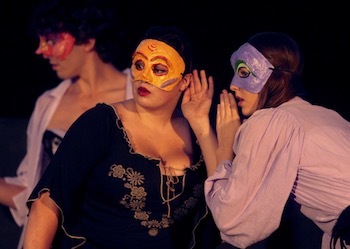 Areas of expertise are Performance Studies (PhD) and Applied Theater (MA). She is a founding member of the WSF Board. Celeste spent seven years in England studying Renaissance literature with an emphasis on Shakespeare. It was during a stint at the Shakespeare Institute in Stratford-upon-Avon, studying performance history, that she had the opportunity to costume shows. She has been acting and costuming ever since. Acting credits include Much Ado About Nothing, The Anastasia Trials in the Court of Women, and Hamlet. Richard will soon be celebrating 50 years working on or behind the scenes of the stage as a performer, stage manager, director and designer. He grew up in Visalia and graduated from Pepperdine University with a BA in Vocal Music Performance. Continuing his education in Europe, he earned a graduate degree in Music Theater Direction from the Conservatory of Music and Performing Arts in Hamburg Germany. 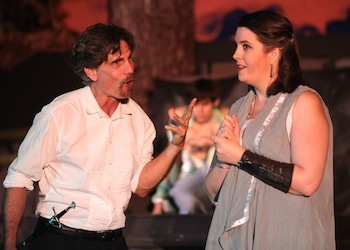 Since returning to the Central Valley, he has been active with the Visalia Players, Good Company Players, Woodward Shakespeare Festival, the Fresno International Grand Opera, California Opera Association, the Livermore Valley Opera, the Golden Gate Opera and Opera San Luis Obispo. In addition to his responsibilities as a member of the Production Team for Woodward, he serves as Resident Stage Director and Technical Director of the California Opera Association, Resident Set Designer and Technical Director of Opera San Luis Obispo and Technical Director of the Golden Gate Opera in Marin. Legacies have played a significant role in WSF’s success, but may or may not be directly involved with the current season.